The gel colours are the food concentrated colors that you can use for icing. Gel colours for cake are available in a plethora of shades and a little goes a long way when it comes to using them. 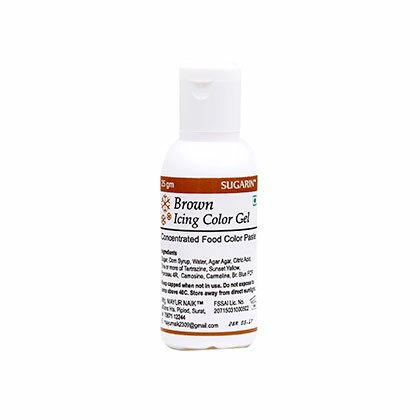 The colors generally come is dropper bottles and you need to start with small drops due to its concentrated formulation. Mix the gel colours for cake in the cake mix well before adding then add more color if needed. Always add a few drops at a time and do not go overboard. In terms of storing these, you can store them in the bottle itself. Just make sure they are not under direct heat and area is clean and dry. This is the colour that you mostly see in candies and red velvet cakes. 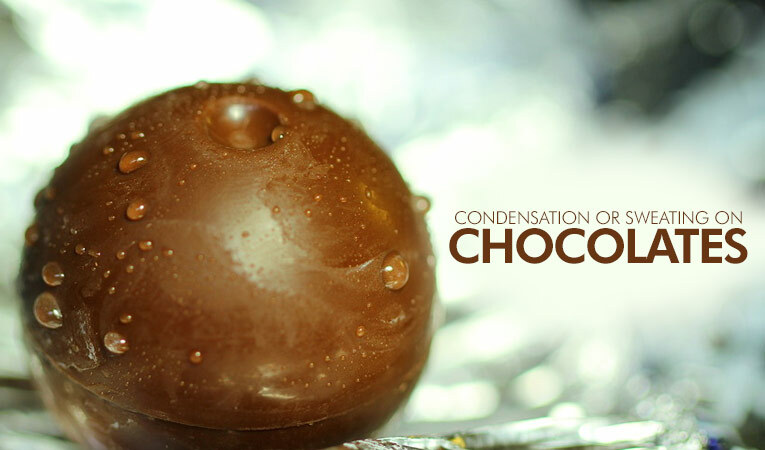 Make sure you store this colour away from ultraviolet light to make it retain the consistency. Butter and other ingredients added to the frosting can make white Gel Colours for cake look off-white. 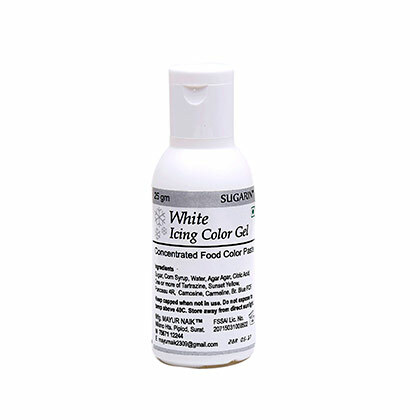 Thus, having pure white colour is a must. Store this away from sunlight and it will last long. 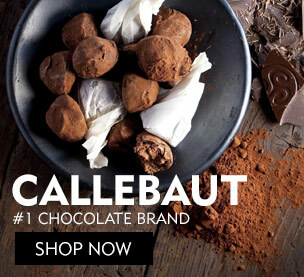 The aqua blue colouris in vogue when you want to add specific detailing to your cakes. 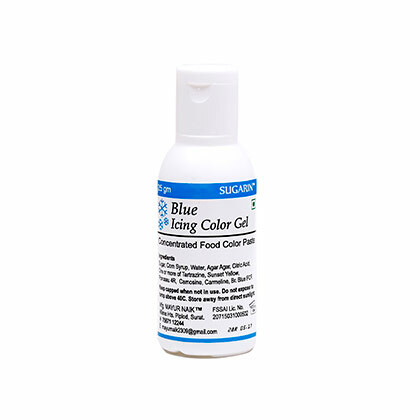 The blue Gel Colours for cake have enough variety as you can lighten it up with white or brighten it up with royal blue. 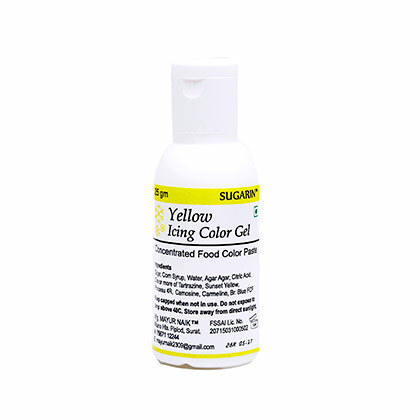 This is another one of the vivid gel colors that you will find widely used in children’s birthday cakes. Though it looks so bright, it will separate out as quickly if not kept in the refrigerator. Brown can be tricky as a few drops make it look pinkish. So, add a bit of egg yellow to the chocolate brown to achieve a nice tan. To make sure the brown stays brilliant, do not store it in the deep freezer. 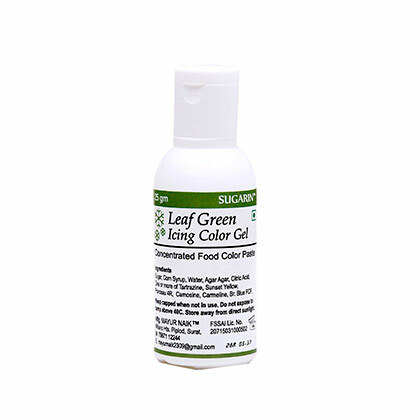 The leaf green colour is for putting the pretty spin on the leaves that you draw on your cakes. Keep it capped and away from direct heat when not in use. 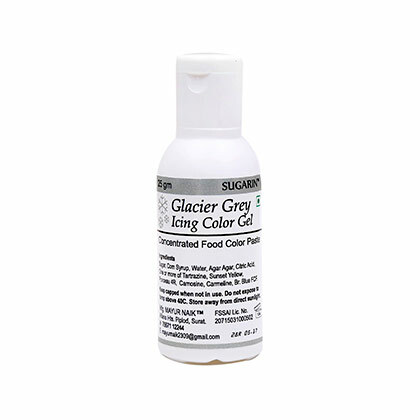 The gray colour is mostly for icing that you put on your highly creative cakes and cupcakes. In case of storing this gorgeous gray, make sure that the temperature does not exceed forty degrees. 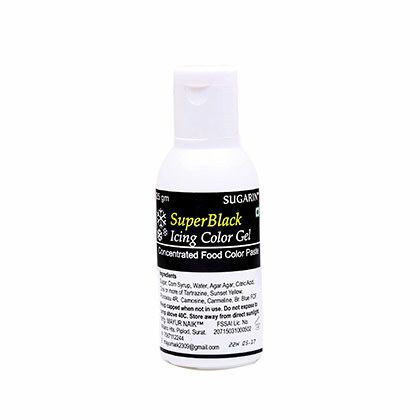 Super black is seldom used individually as icing and its application is mostly related to deepening of other lighter shades. 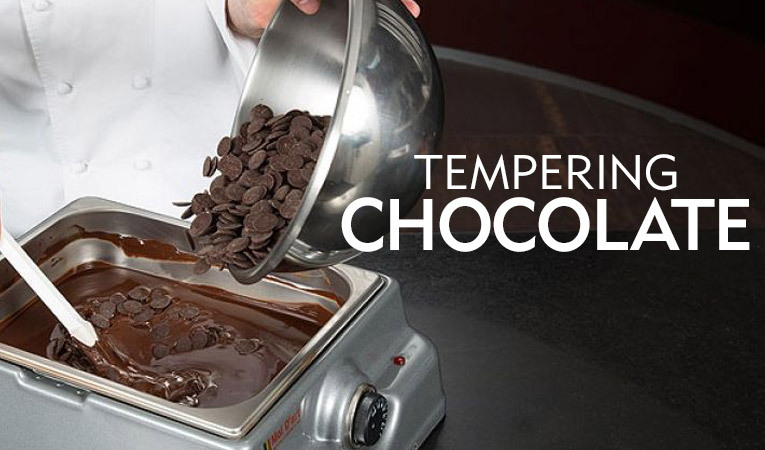 The avid bakers use it individually in icing to add small details to the cakes. Add some baby pink icing to your cupcakes to ramp up their cuteness quotient. Making birthday cake for your little angel? 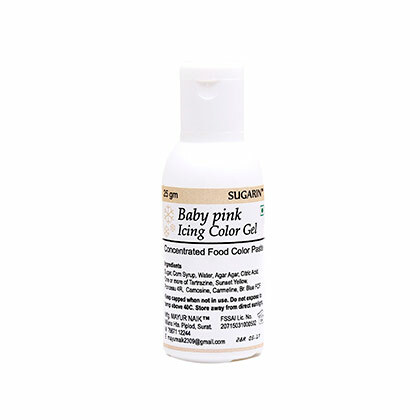 The baby pink Gel Colours for cake will come to your rescue. 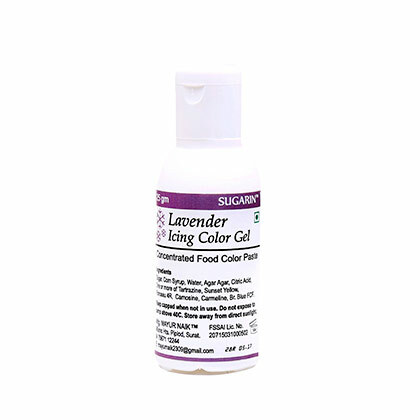 Lavender is such a nice and soft colour that is a classic favorite to decorate the yummy cakes and delectable cupcakes. 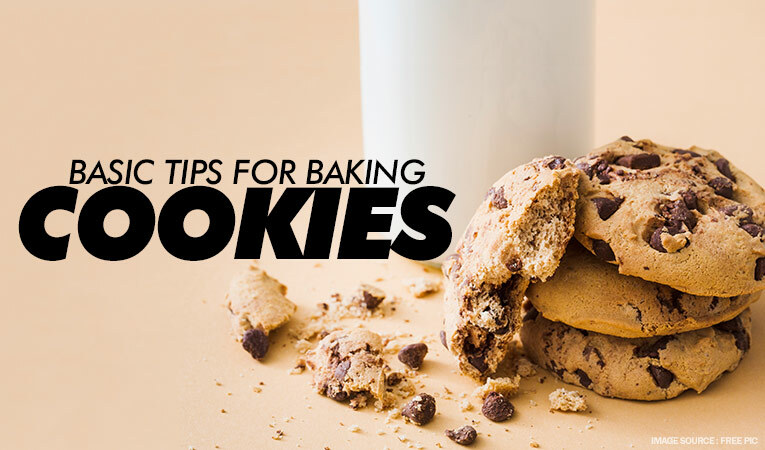 Just make sure that you store it in the freezer or within a temperature of forty degrees. 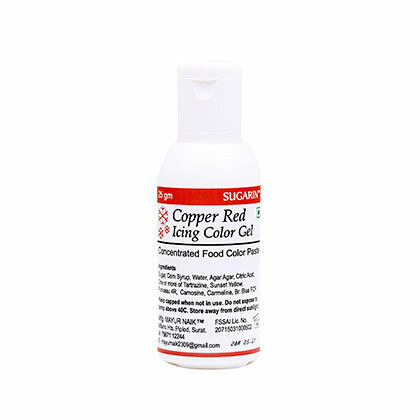 You can go through Bakerykart to get the choicest of sugarin icing color gel at the most affordable prices. 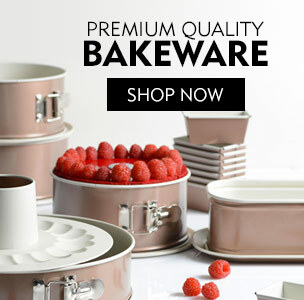 Through our colours, you can bring the rainbow in your cakes or go for the classy one-toned cakes, the choice is yours. Let all these gel colours for cake brighten your cakes and delight your customers.